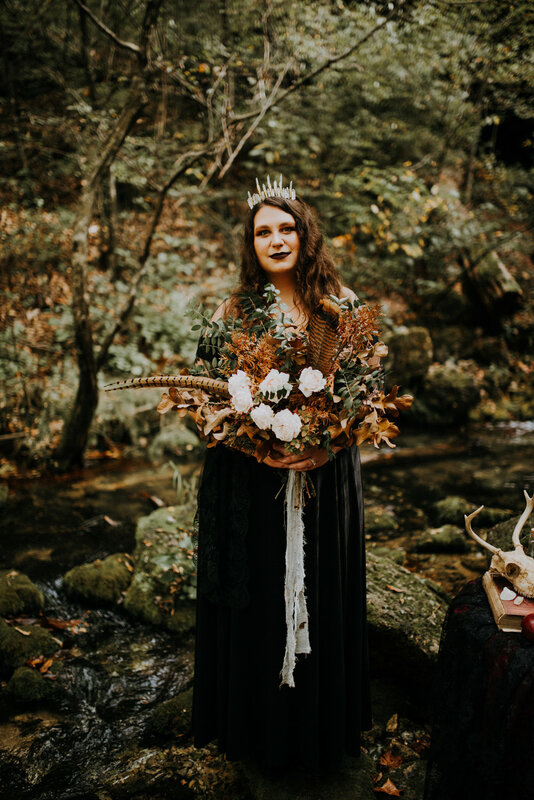 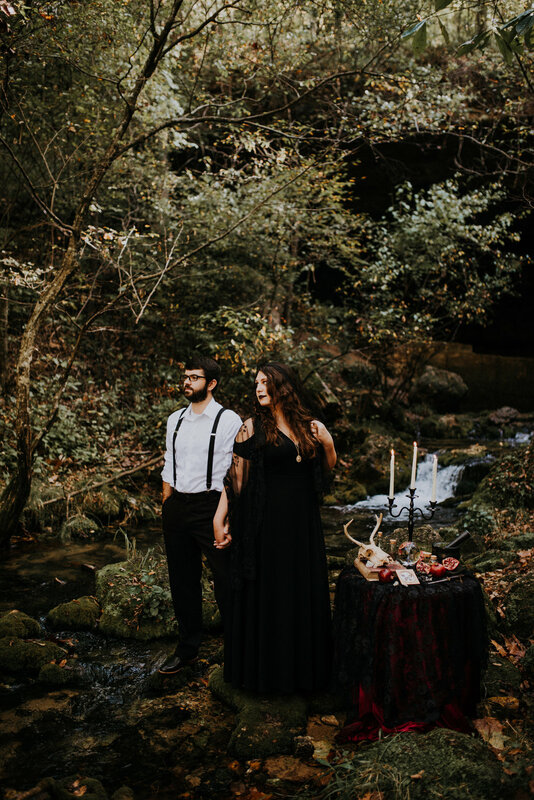 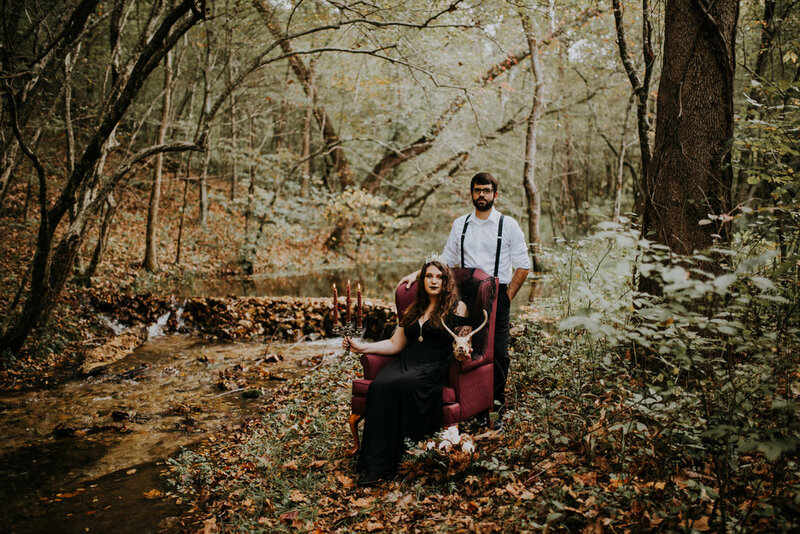 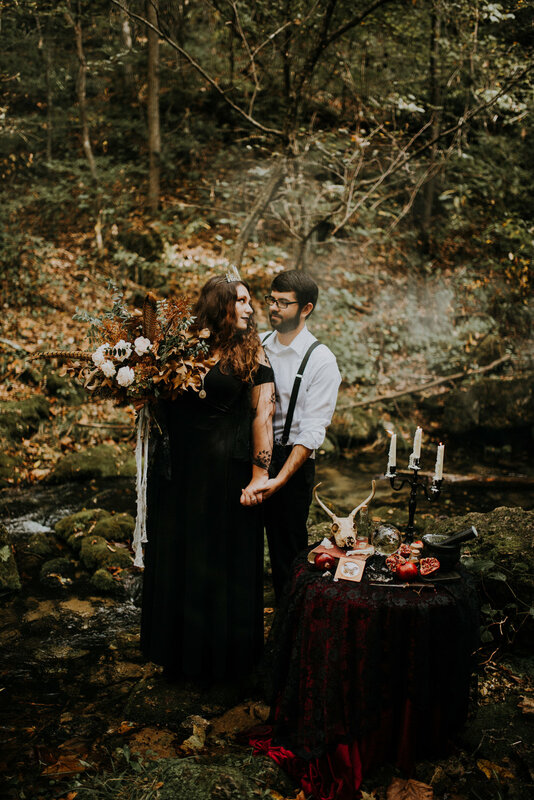 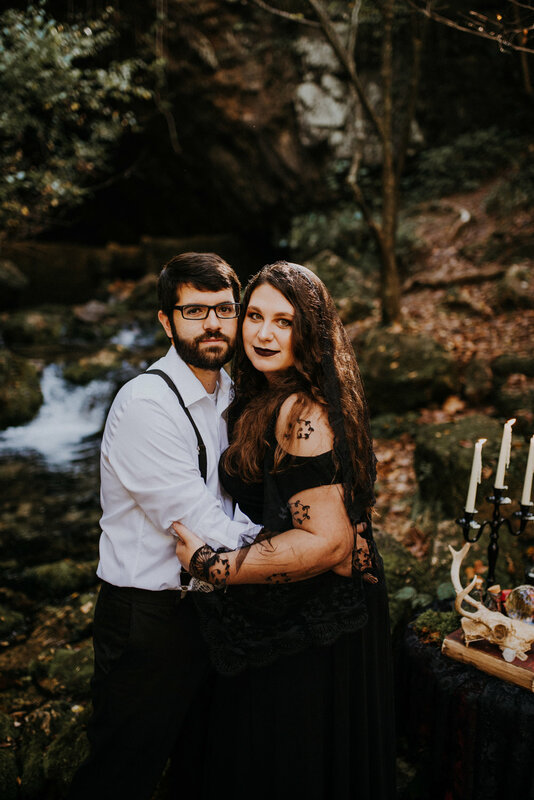 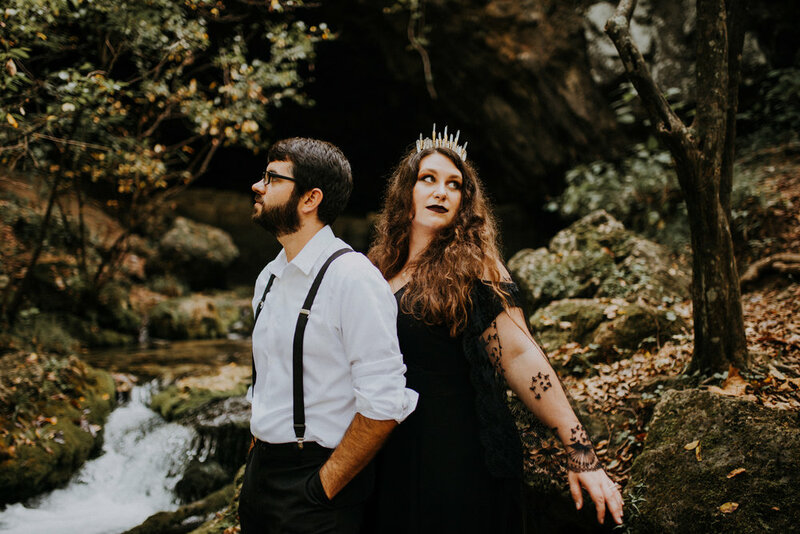 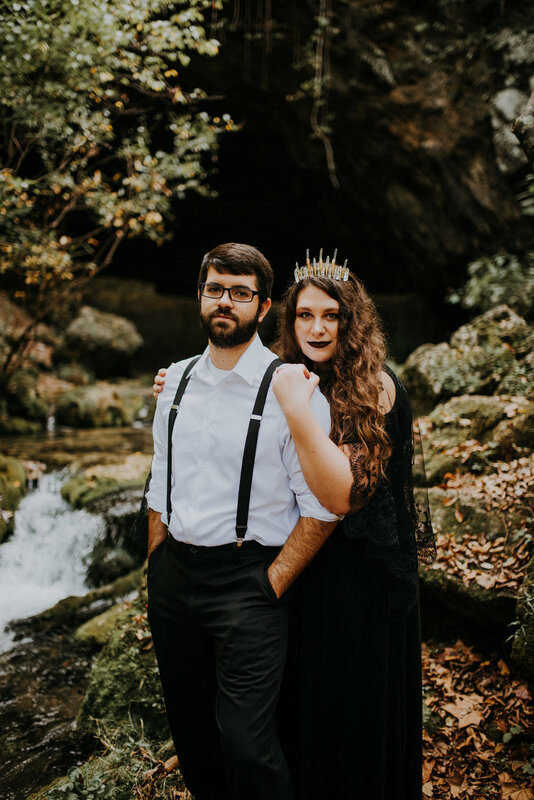 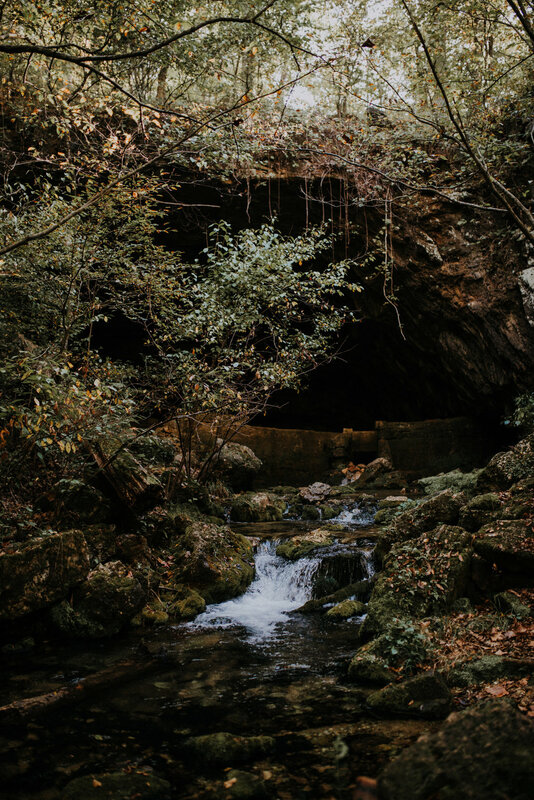 Jessica & Billy’s stunningly dark newlywed session was a dream perfect for a spooky October morning at one of Missouri’s beautifully hidden springs. 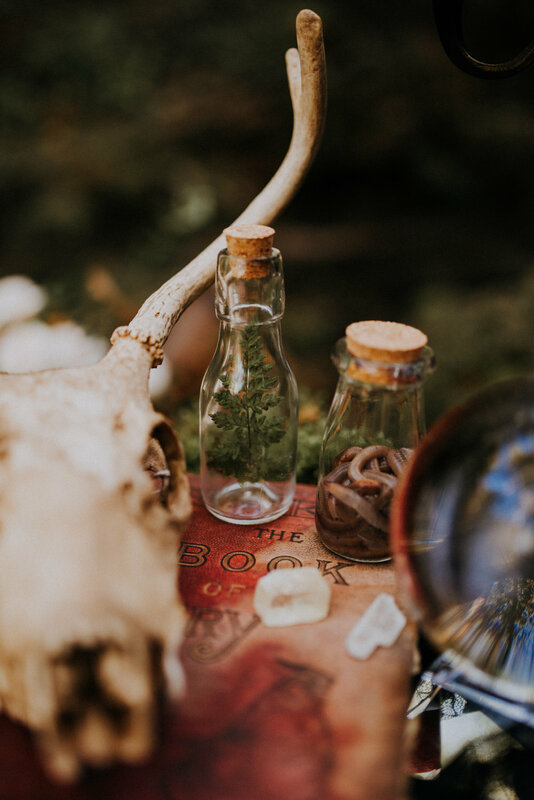 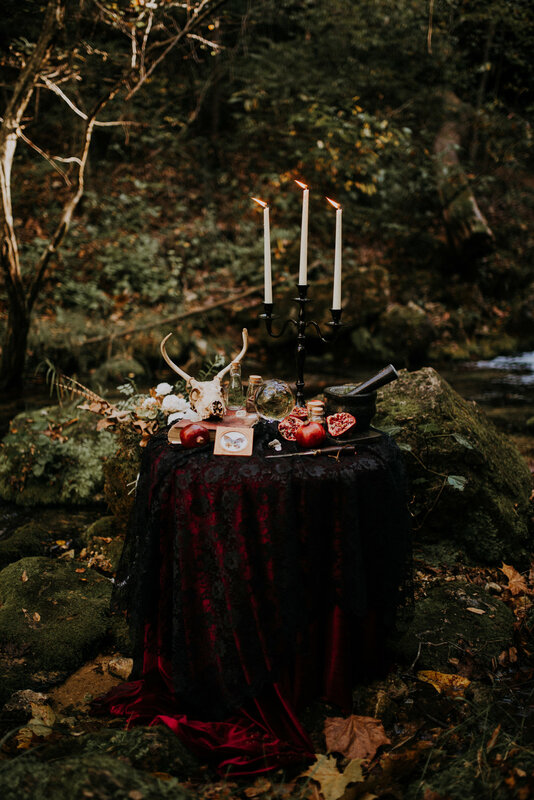 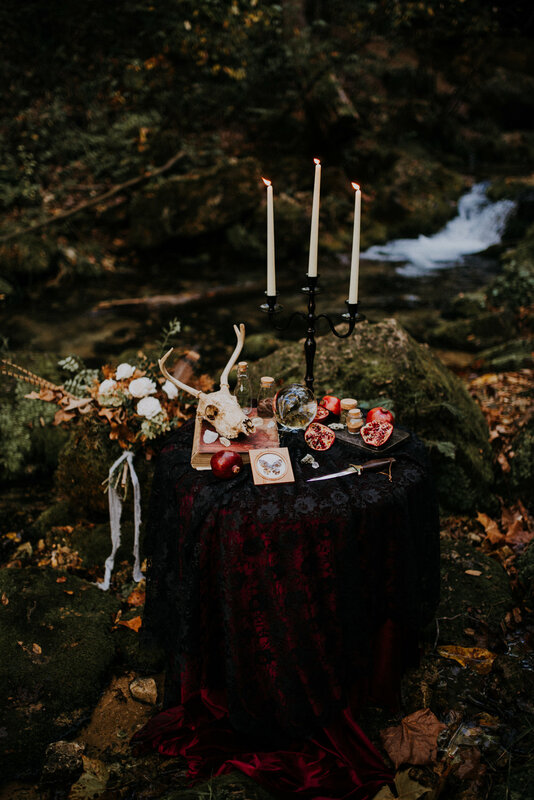 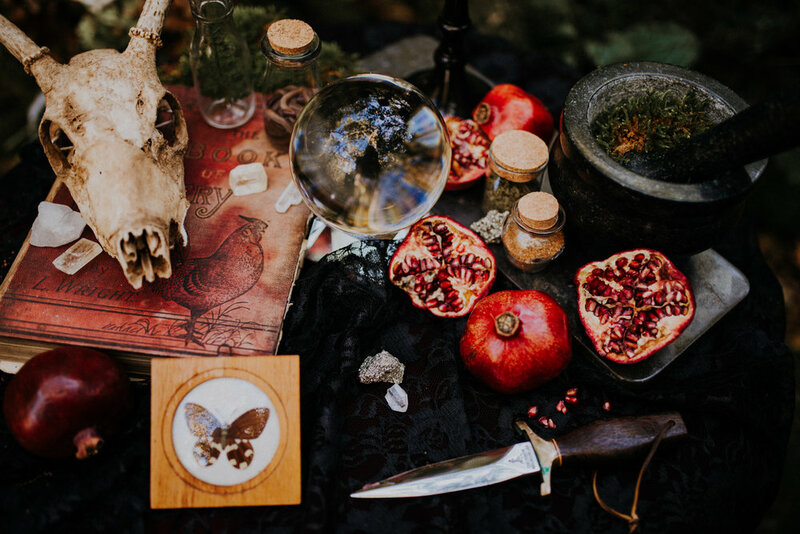 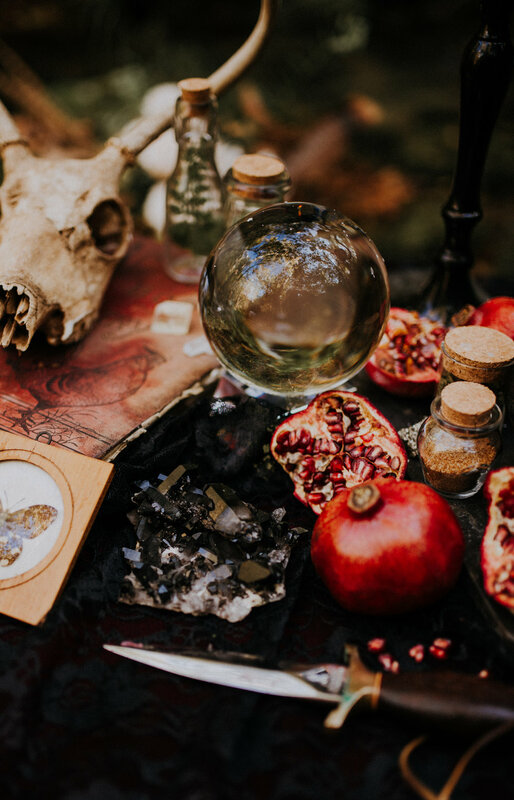 With morning rays of light making our session feel perfectly Hocus Pocus, the natural elements, worms, daggers and crystal ball made this dark session complete. 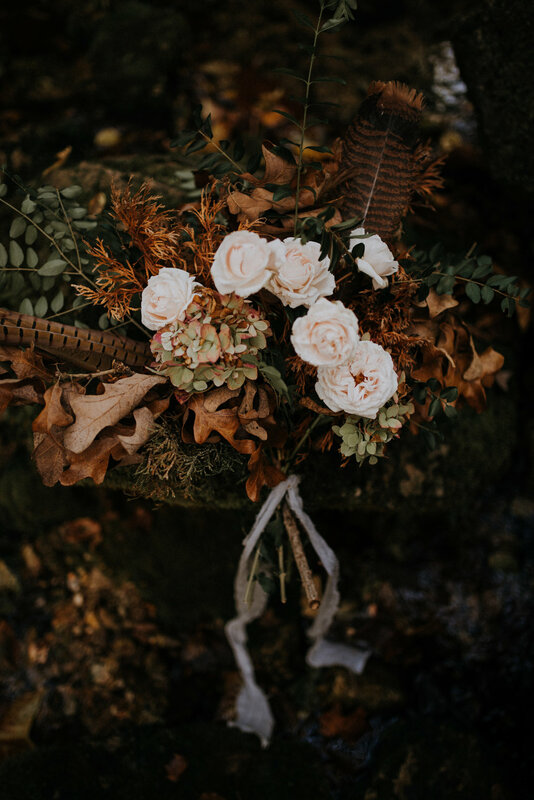 Kate Mullins Design out did herself yet again working completely in her element, even creating the most perfect bouquet for Jessica. 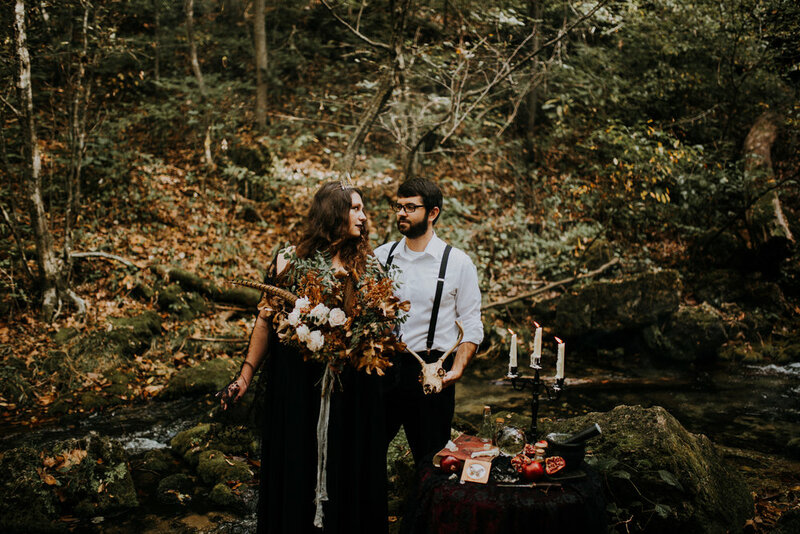 Celebrating love never seemed so magical.